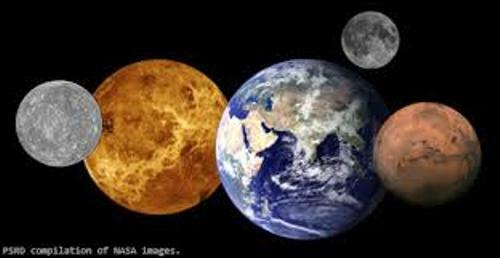 The term telluric or terrestrial planet is taken from the word tellus or terra. 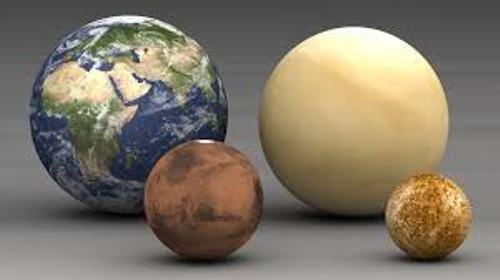 Due to the earth like composition, they are called the terrestrial planets. The surface of the planets is solid. It is composed of water, helium and hydrogen. The central metallic core is made of iron. The silicate mantle is located around the core. That’s the basic structure that you can find in all inner planets. Actually the basic structure is also found on the moon. However, iron core of a moon is smaller than the inner planets. Other satellites which share the similar characteristics of terrestrial planets are Europa and lo. Get facts about the Big Bang here. Volcanoes, mountains, craters, and canyons are some structures that you can find on the inner planets. The structures on the planets are determined by the tectonic activity and water presence. The secondary atmosphere is found in terrestrial planets. 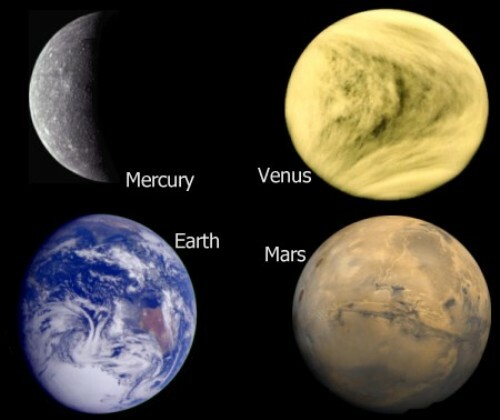 The giant planets are very different from the terrestrial planets because the latter ones have the comet and volcanic impact which form the secondary atmosphere. There are four inner planets in the solar system. Those are earth, Venus, Mercury and Mars. Check facts about space here. The active hydrosphere can only be found on earth. Other inner planets do no own it. Pluto and Ceres are the dwarf planets. Both share the similar characteristics with the inner planets due to the presence of a solid surface. However, the icy materials dominate both dwarf planets. Let’s find out the classification of inner planets. Those include iron planet, silicate planet and coreless planet. The silicate planet is considered as the standard of terrestrial planet. It has metallic iron core with the mantle made of silicate. 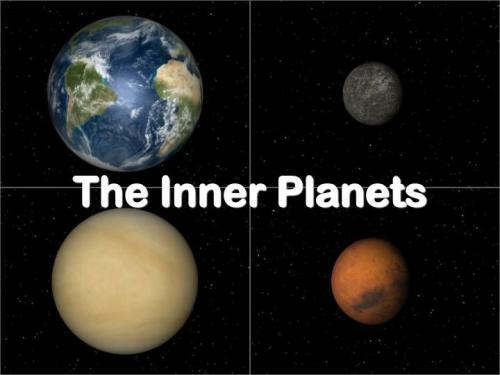 Are you interested reading facts about the inner planets?